Recent analysis of Mount St. Helens shows that the volcano remains active and has accumulated additional magma, but there are no signs of an impending eruption, the U.S. Geological Survey said in a statement on Wednesday. Since the end of the 2004-2008 eruptions at Mount St. Helens, scientists at the Cascades Volcano Observatory and the Pacific Northwest Seismic Network have been monitoring the subtle inflation of the ground surface and minor earthquakes -- just like the ones seen after the 1980 eruptions. Helicopter pilot Major Jeffrey R. Linscott recalls flying into the volcano before it erupted in 2004. He says the volcano is monitored by GPS telemetry and seismic systems as well as other sensors that tracks carbon dioxide and thermal temperatures. "I flew into the crater and noticed the same area we had landed the previous day was fractured. It was a startling and troubling observation," Linscott told CBS News via email. "The monitoring stations measured a deformation in the flanks of the volcano as the magma was raising to the surface. Not long after that, the volcano erupted." However, researchers say the current rise in magma is most likely due to the repressurization of the magma reservoir beneath Mount St. Helens, caused by the arrival of additional magma 2.5 to 5 miles beneath the surface. Scientists have long suspected that fresh molten rock has been recharging the volcano since the last eruption, which lasted from 2004 to 2008, but they have only recently been able to confirm it, said Seth Moran, a volcano seismologist with the U.S. Geological Survey. Although this additional magma is to be expected while Mount St. Helens is in an active period, it doesn't indicate the volcano is likely to erupt any time soon. "This is giving long-term (data) that it's getting ready to erupt again, but it could be decades before it does something again," Moran said. "It's getting ready, but it's not there." Scientists also noted that the repressurization of a volcano's magma chamber is commonly observed at other volcanoes that have erupted recently. The repressurization can also continue for many years -- without an eruption. 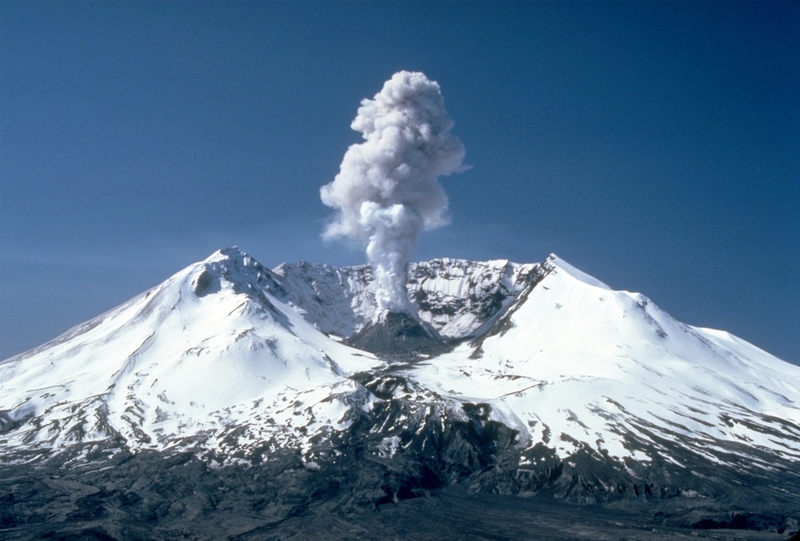 "This is probably what Mount St. Helens does," Moran said, explaining the volcano recharging. "It may stay perched at ready stage for a long time before it starts to erupt. The reassuring thing is: when it's really ready to erupt, it gives lots and lots of signs."